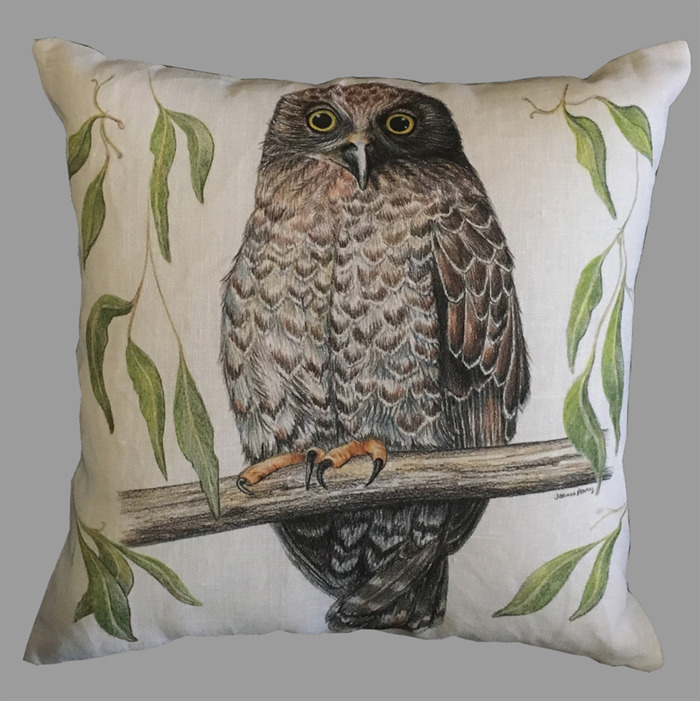 Powerful Owl printed Cushion Cover. Front panel printed (with original artwork by Joanne Pearcy) on 100% Linen White. 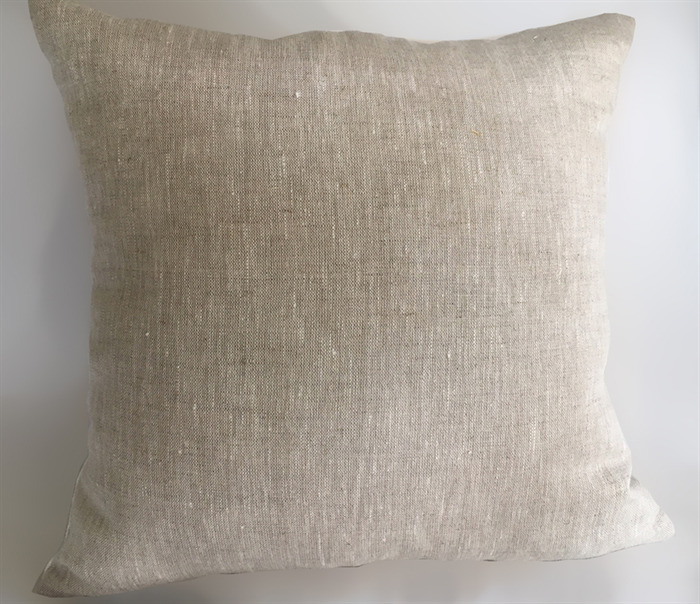 Back panel unprinted 100% Linen Oatmeal. Sewn with machine hem, care label and , invisible zip (well, nearly invisible). Made in Melbourne! 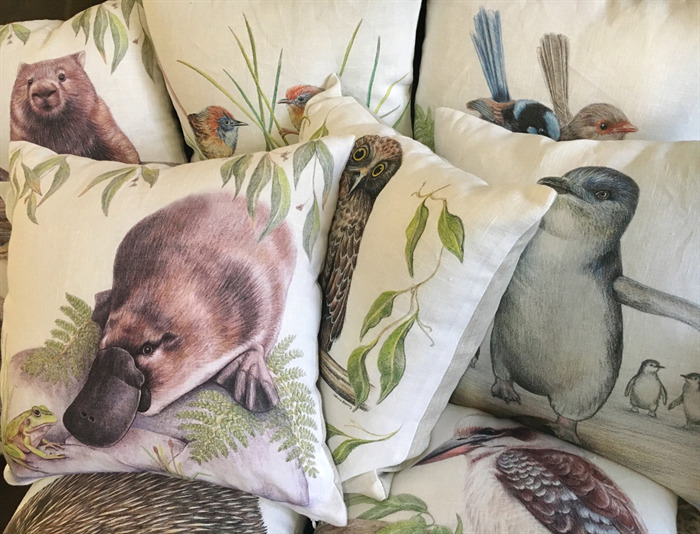 Check out my other listings for other designs and complementary products. 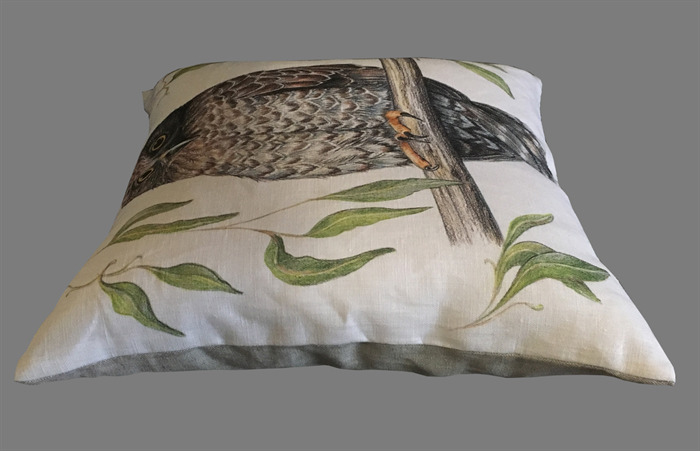 * This listing is for one Cushion Cover Only - fits standard cushion inserts. 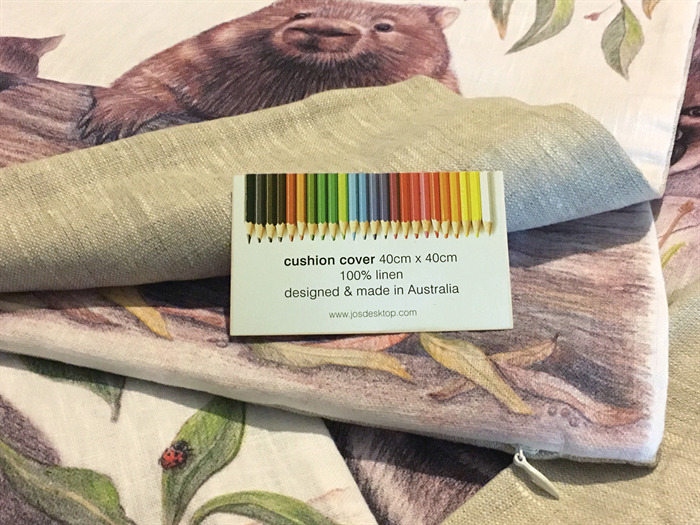 ** Note that the colour on your device screen may not accurately represent the actual product - I try my best to have my photos as close to true colour.